Marta completed a PhD in Medieval English Literature in 2004. Since then, she has also pursued qualifications in Heritage Management and jewellery making. 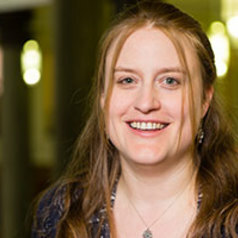 She usually works in the Institute for Medieval Studies at the University of Leeds, helping to organise the International Medieval Congress (Europe's largest annual gathering in the humanities). She is also a Teaching Fellow in the School of History. Her research interests are in late Middle English literature, especially Langland, Chaucer and Chaucer reception; female mysticism, including Margery Kempe and Julian of Norwich; heritage management and education and the portrayal of witchcraft in literature, medieval to modern.